Hardwood and engineered wood flooring are popular choices. Wood adds a warm, inviting element to a room, and it is durable and fairly easy to maintain. 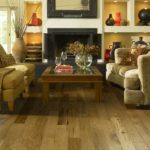 Wood varieties will determine how well the flooring will hold up to heavy traffic, and engineered wood flooring is an excellent choice for those who prefer a wider plank. Although not as suitable for rooms with heavy moisture, wood is a wonderful choice for main living spaces. Laminate flooring appeals to people on a couple levels. 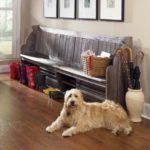 It’s a good choice for families with kids and pets due to its resistance to damage, and it also comes in a variety of styles, finishes and colors. Laminate starts with a fiber core, and then a printed layer of wood or stone is applied. The material is finished by adding a water- and scratch-resistant melamine coating. Bamboo offers consumers a conscientious choice that is beautiful and highly renewable. 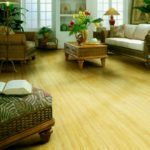 Eco-friendly bamboo is great way to get wood-type flooring at a more affordable price. Bamboo is strong, long-lasting and versatile. Bamboo Flooring offers natural beauty and a unique grain pattern. The premium bamboo and patented technology assures years of comfort. 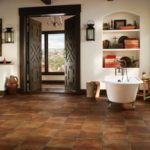 Ceramic tiles are ideal for spaces that see high traffic, moisture or serve as an indoor/outdoor space. They are commonly used in kitchens, bathrooms and entries, but can be used anywhere in your home. Ceramic tiles are an incredibly durable material that is also stunning and elegant. Ceramic floor and wall tile offers the unmistakable look of travertine stone through high definition digital imagery. Tile delivers different color tones with a smooth texture and medium sheen finish, as well as a variety of subtle travertine stone designs per tile to give maximum realism to your indoor renovation projects at home. Cork works on multiple levels by providing an eco-friendly flooring that possesses some wonderful benefits. Sound is dampened in rooms using cork, and it has antimicrobial and insulating properties. 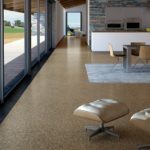 Cork flooring combines the beauty of a natural and truly renewable material with the comfort of a cushioned, warm and silent surface. It is highly sustainable since the cork oak trees are not cut. Only the outer bark is harvested, and it will grow again each 9 years. . The new narrow and beveled plank format creates a more appealing and elegant look than traditional cork floors that are made in large panels. Linoleum is one of the easiest to install and maintain of the flooring choices. 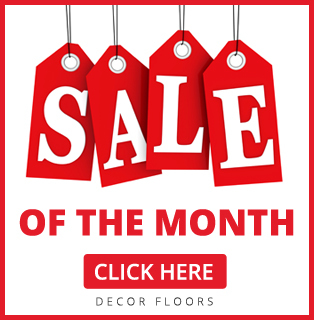 Today’s vinyl flooring comes in a wide array of styles, patterns and colors. Vinyl plank flooring is an innovative type of vinyl that looks and feels like real wood. It is also waterproof, so it can be installed in moisture-prone areas that are normally "off limits" to hardwood and laminate flooring, such as basements and bathrooms. 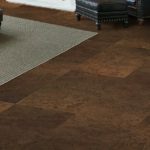 Vinyl plank flooring is also quiet and warm under foot, and relatively easy to install, requiring no adhesives for a beautiful, stylish alternative to traditional vinyl flooring and other flooring products. 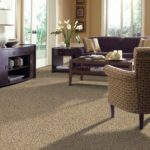 The right carpeting transforms a room into a soft, inviting space. It’s cost-effective, and gives a comfortable finish. The thin threads that make up the pile of a carpet are the fibers. The quality of these fibers greatly affects the performance and texture of the carpet. Carpet fibers can be derived from natural or man-made sources. The most common types of fibers used in carpet are nylon, polyester, polypropylene, and wool. Blends of these fiber types are also used. Besides having a natural function within your home and the staircase itself, the railings provide a necessity piece of safety to your home. It may sound obvious and silly, but many people take them for granted most of the time but are very grateful the railings are there when they need them. They are safety items that may get used every day without any notice at all. Your staircase railings can actually add quite a design to your home besides having a necessary safety function. 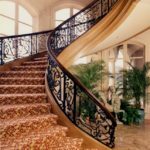 Depending on the type of stairs you have, you can really vary the type of railings you use.